Stephen Whitehurst was born in 1867 in Staffordshire, England, son of John Whitehurst and Mary Harrison. He lived at Joynton Avenue, Waterloo in the 1910s and at 59 Rutledge Street, Eastwood at the time of his death on 27 June 1940. He was buried in the Church of England Section of Waverley Cemetery. Stephen Whitehurst married Edith Hicks (1869-1933) in Sydney in 1891 and they had 2 sons and 2 daughters. He left a Will and his estate and assets were assessed at £4,591. Stephen Whitehurst of Victoria Park Dairy was the employers representative on the Board of the Metropolitan and Suburban Dairymen’s Association. At an annual picnic of this Association in 1913 dairymen made a presentation to Whitehurst in his capacity as Association treasurer. Stephen Whitehurst was a justice of the peace (JP). 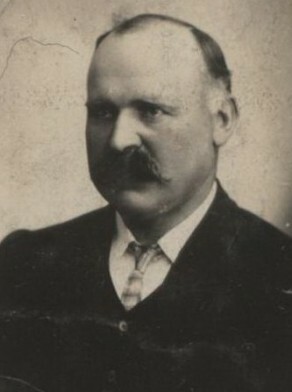 Whitehurst as Mayor in 1917 presided over a meeting of the Waterloo branch of the Win-the-War League at Waterloo Town Hall on 20 February 1917. Stephen Whitehurst was an alderman on Waterloo Council in 1906-17, representing East Ward. He was mayor in 1916-17.Stephen Whitehurst retired on 21 June 1917.